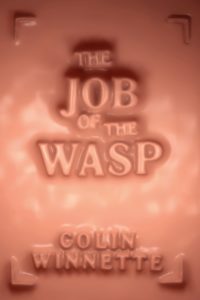 It’s been a while since a book kept me captivated by gory mystery, anxiously awaiting the next turn of the page, as I was while reading Colin Winnette’s, The Job of the Wasp, just out from Soft Skull Press. Soft Skull Press is an independent press whose mission is to publish “books that engage art, culture, and current events in new and radical ways.” As an avid reader of literary fiction, I always look forward to a new title from Soft Skull, and as a fan of the dark and gothic, I was excited to delve into this new, ghostly novel, part of a recently resurgent genre, “literary horror.” When I pick up a work of literary horror, I expect something deeply disturbing, if not outright horrifying, and yet, a work that is more than a ghost story told around some midnight campfire, whose only purpose is to chill and thrill. I want a work that is artistically dark. I want not just an arousing mystery, but a true enigma, shrouding some greater truth or darker unknown. “What did I actually know, I wondered, and what was I just telling myself?” asks the as-of-yet unnamed narrator as he attempts to unravel the long and tangled yarn woven through this morbid tale where sinister intent, corpses, and ghostly apparitions await the reader at nearly every turn. Throughout the book, I found myself wondering the same thing; what did I actually know, and what was Winnette tricking me into telling myself? Winnette pulls off suspense masterfully, keeping the reader constantly guessing, uncertain of the true nature of the mischief afoot. Every time I thought I knew “whodunnit,” a new element was introduced, rendering my previous theories impossible, and setting me on a new route of grizzly discovery. Throughout the book, Winnette maintains a perfectly gothic atmosphere that is simply gorgeous. At times, I actually felt the proverbial “chills down my spine” and had to put the book down, walk away and shake off that creepy old feeling. The language and general aesthetic of the book harken back to an older time, though it’s never made clear, nor is it particularly important in what era the story is set. Aspects of the story, at the beginning, are reminiscent of the grim circumstances Jane Eyre was forced to grapple with at the infamous Lowood School for girls, in Charlotte Bronte’s classic novel. But the Job of the Wasp is set in an all-boys home. Further, the Head Master immediately makes clear that this orphanage is no school: it is a holding facility, charged with only the most basic care of the orphan boys until they come of age, when, hopefully they can make it in the world on their own. Writers have long and often effectively utilized the tropes that accompany genders as horror devices. Jane Eyre, of course, hails back to the Joan of Arc figure — the haunted heroine, muttering at seemingly malevolent entities speaking to her from the other side — and to the infinite mythologies of witchyness that accompany congregations of young girls, especially when, as at the beginning of Jane Eyre, those young girls are dropping like flies, even if it is only from an outbreak of typhoid fever. In short, young girls are creepy. In The Crucible, for instance, young girls seem to too easily slip into the ephemeral, possessing the capacity to wield powers far beyond our understanding. The world of young girls is gilded in the demonic, the secretive. Young girls are guilty before they are even accused, and what they are guilty of is intangible, possibly unknowable. It requires no physical act. It is emotion and thought. Young girls are a force compelling others to enact evil simply through existing. The Job of the Wasp also makes use of the unsettling energy that accompanies an isolated group made up exclusively of children of one gender — of young boys — and this is an altogether different type of disturbance. “The world of young boys favored action,” says our narrator as he attempts to talk himself out of the sullen, introverted state of mind that has caused him to find himself the focus of the other boys’ suspicions. And this book is nothing if not action-packed. When the narrator first comes to the orphanage, we learn with him that near the end of every year, five people at the orphanage die. There’s something particularly spooky about young orphans living together, cut off from the rest of the world, in-and-of-itself, without there being an obligatory body-count-down. The fact that the school is all-boys definitely gives the story a particularly brutal charge. While we are led to believe throughout the book that this is a ghost story, there are moments when the interactions of the characters take on a Lord of The Flies feel. We are told that the boys believe that one of the boys in the orphanage is really a ghost, walking among them, and this ghost-in-orphan’s-clothing is the one responsible for the five deaths a year that have become a seasonal happening in the facility. As the boys attempt to find out who among them is the ghost, reasoning that the only way to know is to make the person bleed, (because, of course, ghosts don’t bleed) you begin to wonder if perhaps it is simply the violence of young boys paired with a bout of mass-hysteria that is the true culprit of the five yearly murders, and not an apparition at all. This book offers many stories within stories. Every new corpse turned up spurs a new hypothesis from the narrator, imagining different sequences of events that could have led to the new death; some more believable than others. At first, I went along with these hypotheses as plausible, relevant notions of the main character that may be leading me somewhere, though by the middle of the book I began to wonder if these sometimes-overwrought theories of the book’s protagonist were no more than mere obfuscations. Winnette has mastered the art of keeping the reader guessing, but when I read a book, and especially from a press like Soft Skull, I want more than just suspense. I’m not one for the paperback genre-fiction found on airport shelves. I don’t read merely to be kept hooked for a day, then toss the story aside, only to pick up another potboiler that does little more than pump the blood for a few hours. 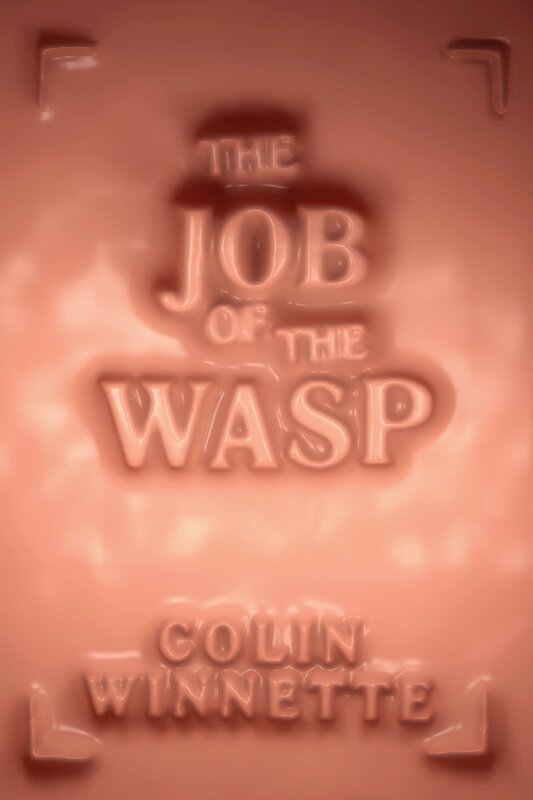 The back cover of The Job of the Wasp claims it is “not only a page-turner,” and I was hoping that was true. Even by the last page, there is still the possibility that one of the many, drawn-out theories of the narrator will play out in some way, tying the story together or exploding it for some greater, or at least slightly interesting takeaway. Unfortunately, in the end, I found I had been led down a craggy, dark trail of the supernatural as well as the humanly sinister, full of plot-holes that are never recovered, and presumptions that are at times tediously enforced only to make the story possible, ending nowhere substantial. In her book of essays, Art Objects, (which I read more than ten years ago now, so I can’t quote it exactly) Jeannette Winterson wrote about the devices literary writers utilize to the pull the reader through a story; we writers dangle these shining objects — mystery, suspense, question building upon question — to keep the reader engaged, and even, at times, unaware that they are attaining something more valuable throughout the process than the hypnotic pursuit of chimera. This book though, like so many genre paperbacks, was a labyrinth bedazzled with these shining devices, leading the reader nowhere but “The End.” I don’t believe The Job of the Wasp was more than a very stylized page-turner. But to be fair, I can’t say I didn’t enjoy it. Chavisa Woods is the author of Things To Do When You’re Goth in the Country, The Albino Album, and Love Does Not Make Me Gentle or Kind. Woods was the recipient of the Kathy Acker Award in writing, the Cobalt Prize for fiction, Jerome Foundation award for emerging authors, and was a finalist for the 2010, 2013, and currently, the 2018 Lambda Literary Award for fiction. Her writing has appeared in Tin House, LitHub, Electric Lit, The Brooklyn Rail, The Evergreen Review, New York Quarterly, and others.